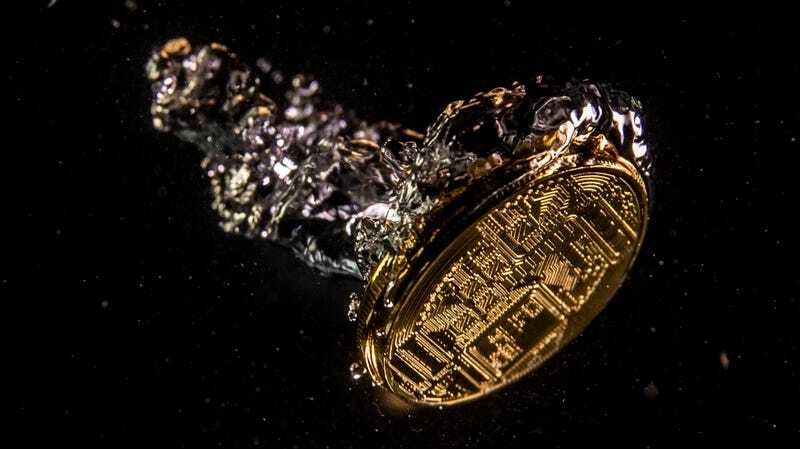 The cryptocurrency markets saw a significant crash on Wednesday (Eastern local time), with just short of $13 billion in value wiped out over the course of just three hours, CNBC reported. As of late Wednesday, cryptocurrency-tracking site CoinMarketCap listed Bitcoin as down 4.26 percent, Ethereum down 9 percent, XRP down 9.95 percent, and Bitcoin Cash down 10.54 percent in the last 24 hours. Of all the major cryptocurrencies listed on the site’s front page, a mere handful had gained value, with the vast majority posting losses. ... Bitcoin, XRP and ethereum have not recovered to the record highs seen toward the end of 2017 and beginning of this year. On Thursday, bitcoin was more than 68 percent off of its record high of $19,783.21, which it hit on Dec. 17 of last year. In the past year, U.S. regulators like the Securities and Exchange Commission have (slowly) begun cracking down on suspected fraudsters in the crypto market, while their overseas counterparts in places like China have been far more aggressive. Cameron and Tyler Winklevoss, the twin brothers who once sued Facebook founder Mark Zuckerberg before investing heavily in cryptocurrency, had their bid to create the first-ever bitcoin exchange-traded fund shot down by the SEC earlier this year. As CNBC noted, regulators reviewing the Winklevoss proposal were particularly concerned that bitcoin was susceptible to fraud and market manipulation. On Wednesday, Reuters reported that theft in the form of “hacking of exchanges and trading platforms” had risen 250 percent in the first nine months of 2018 from the prior year, with total losses estimated at $927 million. The cryptocurrency boom-and-bust cycle is nothing new, and as the Wall Street Journal reported last month, seasoned cryptocurrency investors tend to “remain sanguine about the market’s long-term potential, pointing to its short but turbulent history.” (A common talking point is that anyone who bought in years ago when prices were far lower would still have made immense profits, though one might point out that a lot of other people were left holding the bag.) A quick survey of posts on cryptocurrency’s Reddit board and industry publications indicated that some are blaming a bad day in the stock market. Others pointed the finger at deliberate manipulation by a “whale,” one of an estimated 1,000 or so investors believed to collectively control 40 percent of all bitcoins, or just a “sensationalist narrative” in the media for the downturn. It is, of course, possible that this specific downturn is a blip on the radar, though do keep in mind that CoinMarketCap measured the cryptocurrency market cap at just over $835 billion earlier this year. At the time of this writing, it stands at below $205 billion.